This racecourse is built on a hill. 10 minutes from Meitetsu Nagoya Main Line Chukyo Keibajo Station. 2 minutes from Meitetsu Nagoya Main Line Chukyo Keibajo Station. 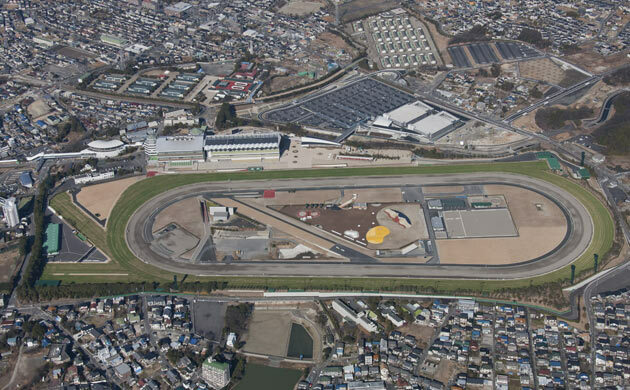 * On days when races are held, a free shuttle bus runs between the Chukyo Racecourse and Meitetsu Nagoya Main Line Chukyo Keibajo Station.